Since our beginning, we are engaged in presenting a wide range of excellent quality Direct Fired Hot Air Generator. The generator operates by mixing hot air gases from a combustion chamber then mixes the air with a suitable amount of ambient air which is further directed to the spray dryer. The high rise heat generated by the hot air gives the highest possible thermal efficiency. 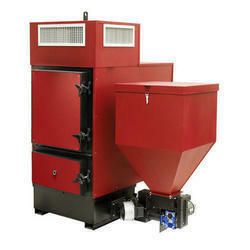 Such efficient includes standard and tailor-made solutions in heat treatment equipment and furnace operation. Besides, clients can get the generator from us at industry leading rates. 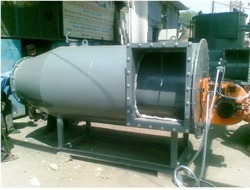 As one of the leading entity of this domain, we are engrossed in providing supreme quality Gas Fired Hot Air Generator. The generator processes primary and secondary fuel fired and electric resistance type furnaces for heating and reheating heat treatment, which includes ovens, furnaces, dryer, rotary kiln, and hot air generators chemical processing equipment. Further, the generator produces high thermal efficiency up to 80%, require less maintenance due to minimum usage of refractory in furnace, and vertical design. 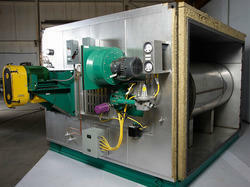 Within the short time period, we are engaged in presenting an excellent grade of Hot Air Generator. The generator operates by mixing hot air gases from a combustion chamber then mixes the air with a suitable amount of ambient air which is further directed to the spray dryer. Also, the generator produces high thermal efficiency up to 80%, require less maintenance due to minimum usage of refractory in furnace, and vertical design.